A surprising discovery are the books Thaw, Lick, and Soil Horizons, part of the ANTHROPOCENE project by Chicago-based artist Maggie Puckett. 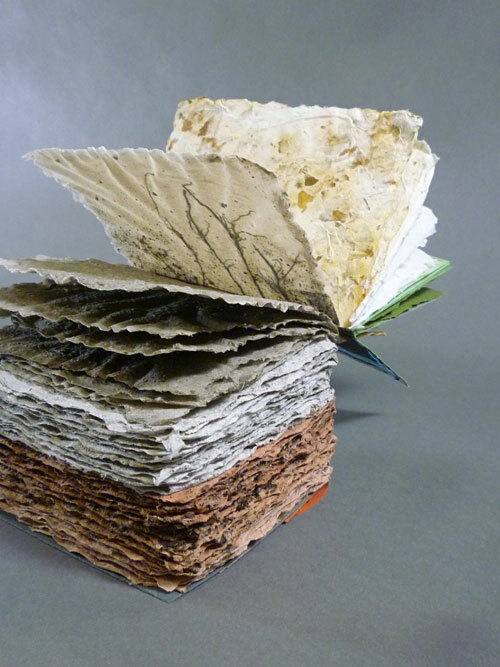 While I tend to find artists books about climate change a bit preachy and lacking in science, what is fascinating about these three books is how the process is so closely linked to their readable state, the process forming their content. They are also just beautifully crafted and very inspirational. 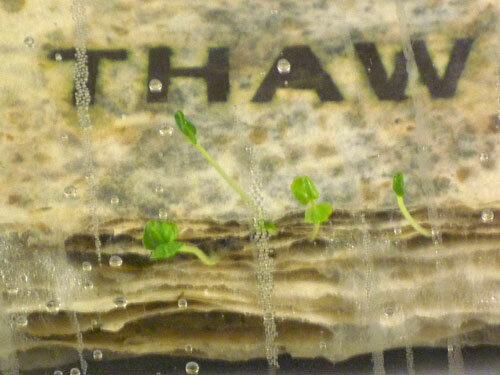 Thaw is a book bound, frozen and currently biodegrading. Last update during the end of Spring last year was "bugs!" Salty is a book that requires you to read with your tongue. The pages are made out of salt. 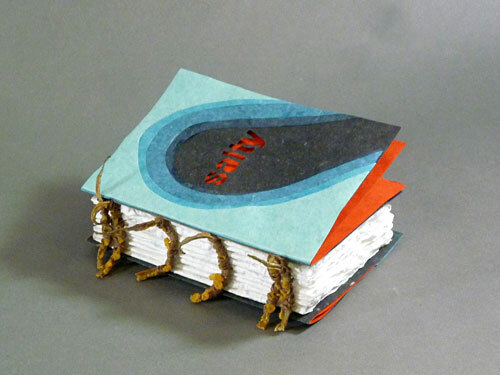 The paper is made out of a combination of paper rag and table + sea salt. If you've ever been to a raw vegan restaurant, chances are you probably have tried raw food. Consider this a "raw book." Soil horizons is made of paper, soil, sand, roots, and leaves. Turning the pages is like digging through layers of earth. The books heft alone is impressive, and about as overwhelming as the idea of digging down to the Earth's core.